Mixed use/"general commercial" zoned property situated on a prime 1.33 acre corner lot on Rt 272 & Rt 897/Swartzville Rd in East Cocalico Township. High visibility on this traffic lit intersection. 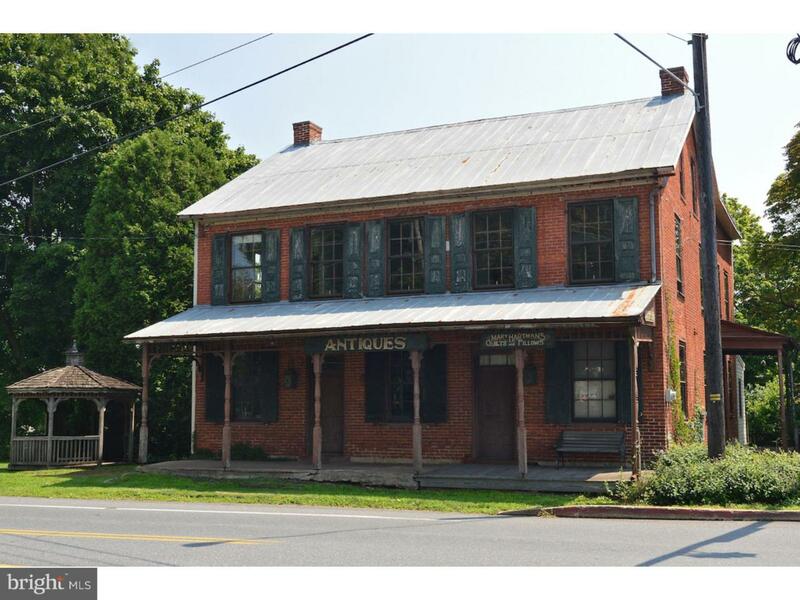 This property consists of the 1840's brick/vinyl 2-story main building and 4 outbuildings. Main building features a general store addition, rear deck/summer kitchen, a full attic, and has much potential for a multitude of uses. Flooring throughout building includes mostly hardwoods and a partially brick basement. Currently no plumbing/no baths, however there is a toilet in the basement. Outbuildings include a 2-story barn and a 2-story warehouse, and 2 additional outbuildings. Property needs work, but has extraordinary potential! Ideal for antique business (this is antique row!) or almost any retail business. YOU WILL BE SEEN!